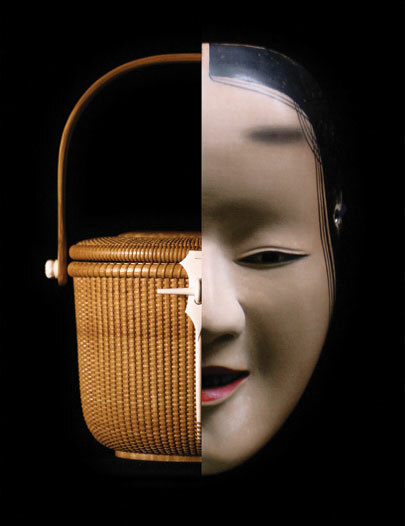 The Yoyogi Noh Butai and the New England Nantucket Basket Association present a collaborative exhibition of Noh theater (a 600-year-old Japanese form of theater) and Nantucket basket making (a 300-year-old traditional American art). The event will include a Noh performance and lecture by the actor and scholar Jiichi Asami, a rare exhibit of ancestral Noh costumes and masks, a lecture and demonstration about Nantucket baskets by the artisan Etsuko Yashiro, and the first Japanese showcase exhibit of Nantucket baskets made by Etsuko Yashiro and her apprentices. The event will take place at the Yoyogi Noh Butai Theater in Yoyogi, Shibuya, Tokyo. In the world of Noh, it is often said that the art of performance cannot be taught but must be cultivated. The art is often treated as a family secret that is passed down through each generation. Mastery does not come easily, but rather is accomplished only through years of immersion. Etsuko Yashiro, the founder and president of the New England Nantucket Basket Association, finds a striking similarity between this traditional Japanese art and the art of Nantucket basket making. After encountering the beauty of Nantucket baskets, Etsuko began to learn from a local basket maker. Having the desire to master the art, Etsuko made many trips to Nantucket Island, where this art form originated. It was only after meeting with a renown basket maker over many years that Etsuko was finally able to convince him to become her mentor.